The Verizon Tones app isn't preloaded on all devices. If unavailable, download from the Google Play™ Store. 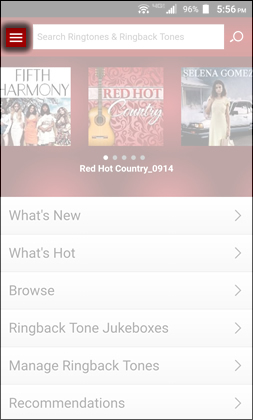 Open the Verizon Tones app . For some devices (e.g., LG G4, etc. ), you may need to touch and hold the Square icon to get back to the Downloads screen or tap the Recently Accessed Apps icon. 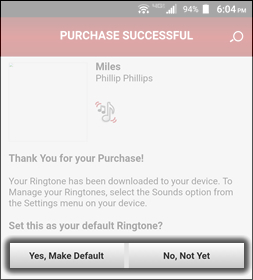 In the Pending Downloads section, tap the Download icon next to the desired ringtone.